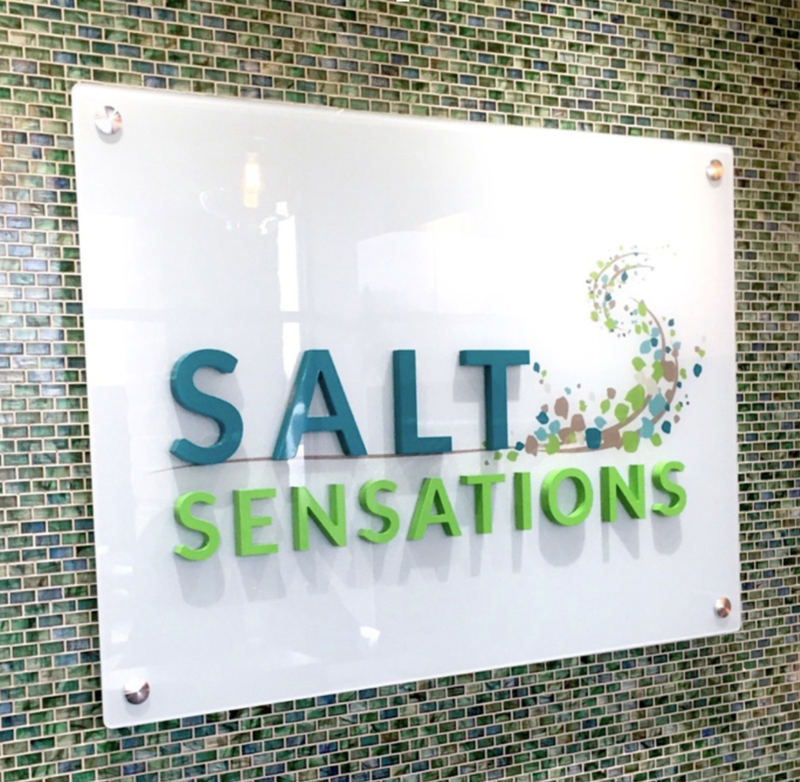 Salt Sensations is an example of an interior wall mounted sign made up of glass and three dimensional acrylic letters with metal stand offs from the wall. After a marketing firm created the design, it was handed off to The Sign Guys who brought the sign to life with quality material and timely installation. Using a sign like this is important to deliver a quality and memorable first impression of your brand to your customers. Salt Sensations has built a business for wellness and quality of life which is conveyed through their sign. The blue, green, and teal color palette reflects a calm and relaxing atmosphere much like sitting on the beach near the ocean.